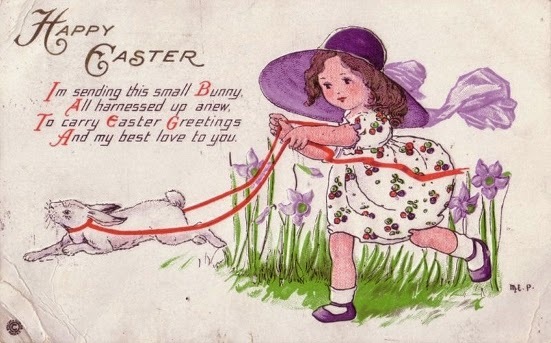 Children and Easter go hand in hand just like any other holiday celebration. Who doesn't like candy and fantasy? What a romantic country image. That has been one busy chicken laying all of those eggs! On the back of this postcard is written "Dear Rae, You will have a happy summer at Bowen Island and do not forget Auntie Blanshard". Most of the postcards that I have are from the US or Eastern Canada but the reference to Bowen Island is to the West Coast. To get to Bowen Island go to Horseshoe Bay 12 miles north west of Vancouver, then take a 20 minute ferry ride from Horseshoe Bay over to the island. 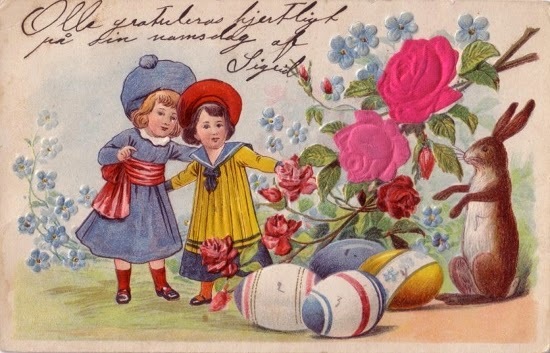 The pink roses on this postcard are die-cut silk shapes that were glued on, most likely by hand, and then the card was embossed. This is a very Victorian image. I think that the child in the yellow "dress" is a boy. Young boys, and correct me if I am wrong, wore a piece of clothing similar to this. If anyone knows more information or what the clothing young boys wore was called let me know. 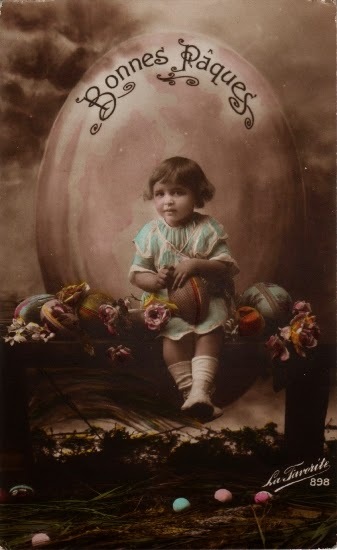 This hand-tinted photographic postcard was probably produced in Paris. 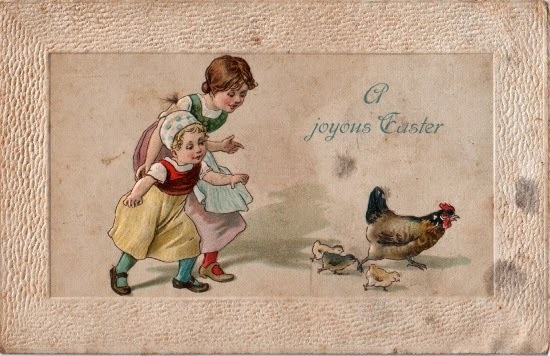 The only markings on it are on the front "Bonnes Paques" at the top and on the bottom right corner "La Favorite" with "898" directly beneath it. There is no address on the back just the words "With much love Tom(?) Daddy". 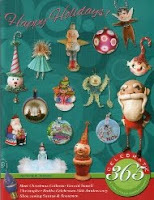 I wonder if some of the cards that I have shown with no address on them were sent home by soldiers from WW1? That is a somewhat bitter sweet thought; did they arrive home safely or was the postcard kept because this is the last sentiment and last physical evidence that they were alive and so dearly loved. 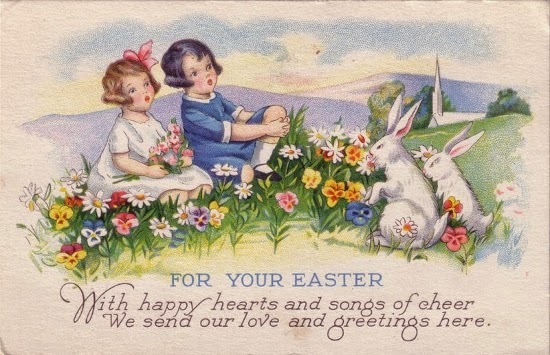 Those two children look as though they are being terrorised by two naughty zombie bunnies! Now that I have I ruined this cute image for you let us move on. Well, I have obviously not read the backs of the postcards at all. 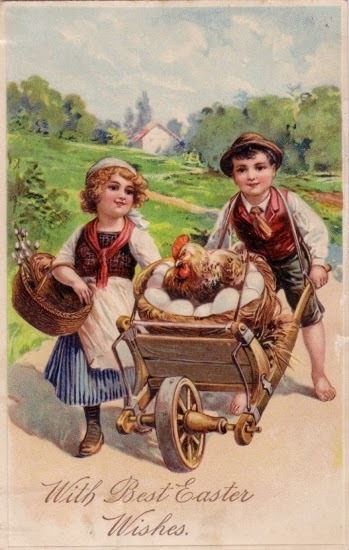 This postcard is post marked 1919 and was mailed to "Master John McCallum, 1449 Mitchell Street , Oak Bay, Victoria, B.C." A postcard from Victoria! Victoria was a very tiny town back in 1919. It's main source of industry was fishing and logging.